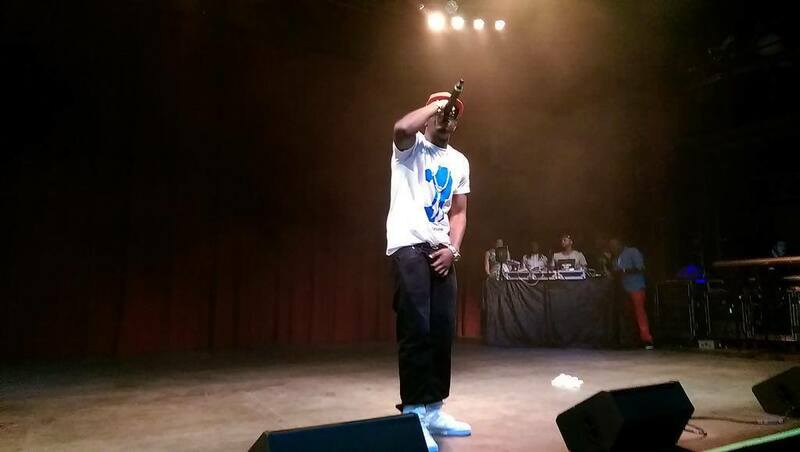 STANLEY ENOW WOWS THE CROWD IN MARYLAND, DC! When Stanley Enow released Hein Pere, the doubters asked how he was going to survive this industry and what he was going to do next, then his second release Tumbuboss came out and they still complained…what next they said, his days are marked they said, then his third release Njama Njama Cow came out and they doubted even more saying he is going down…and he has nothing more to offer they concluded. One year later since he stormed the industry, the Bayangi Boy (he is repping our tribe very well hein *shines teeth*) born in Bamenda, raised in Baffoussam has gone from his base in Douala to Yaounde to Limbe to Bamenda to Baffoussam to Libreville to Cotonou to Paris to Frankfurt to Dallas to Maryland from a Balafon award to two Sonnah awards to an MTV award to an AFRIMMA award and from a recent collaboration with the BBC for the World Cup to being the “revelation” de l’annee 2013 according to Trace TV…all this plus he is an amazing performer, a “veritable” stage beast…who gives it his all when he is on stage performing…all this and he still does it for the youths and for the green red yellow…his purpose and vision slowly being realised backed by a tremendous work ethics and a desire to succeed. Stanley Enow, we salute you *hands to the side of the head. * Watch the two parts of his stage performance below.